Concussion is a complex injury that can have extensive symptomatic and functional consequences. Having a solid understanding of the many systems affected by concussion is integral for OTs to best support their patients. That's why this OT specific course, provides In depth, step-by-step video lessons that equip you to clearly perform a comprehensive, evidence based, Occupational Therapy specific assessment of concussion. Are you performing a proper OT assessment of your concussion patients? Occupational Therapists need specialized knowledge in concussion to best help this population, but until recently there has been a lack of high quality, OT-specific training for concussion management. Although an OT education often touches on concussion, it simply doesn't have the time to cover a high quality assessment and treatment of concussion. Moreover, when it comes to the training and tools that enable you to best treat concussions, there is a clear absence of OT-specific training. That's why after countless of hours of research and practice, Devon from the Elevate OT team, developed a best-evidence framework to assess concussions as an occupational therapist. Using this framework as a guide he then took one year to create a practical, helpful course to teach you step-by-step, how to perform the best possible OT specific assessment of concussion. 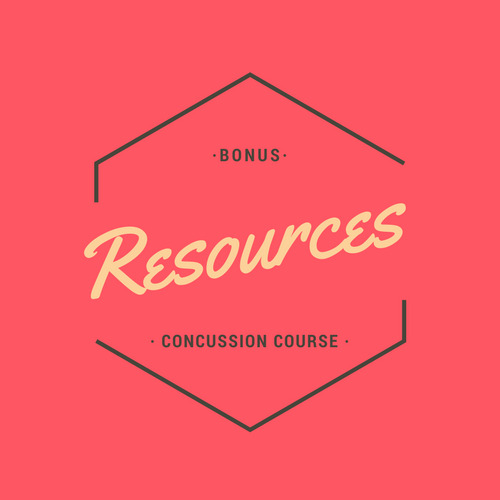 We'll get you familiar with the course structure, then review key contributions you can make in concussion management and how to deal with the question of why you're needed here. Practical takeaway: Know why you and your work as an OT matters. 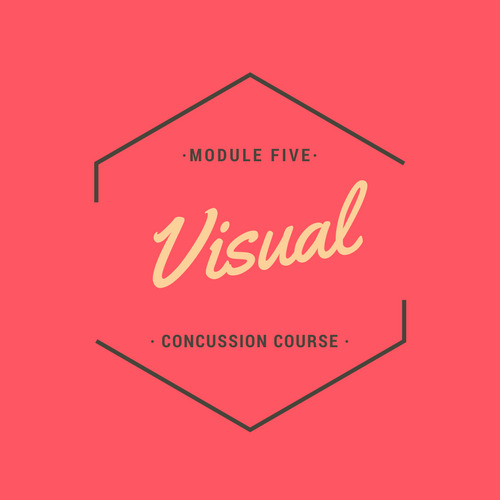 In module 2 you'll gain an introduction and foundational overview of what a clear, structured concussion and symptom specific assessment of your patients will look like. Practical takeaway: Gain the big picture of your concussion and symptom assessment. Practical takeaway: Know how to assess the physical domain and symptoms. In module 4 we'll get you acquainted with vestibular aspects including balance and gait, a VOR assessment, positional testing, and the BESS test. Practical takeaway: Learn to assess and test aspects of the vestibular domain and related symptoms. In module 5 you'll cover all aspects of vision assessment including pupil examination, ocular alignment and cover testing, eye movements and nystagmus, and the VOMS test. Practical takeaways: Learn to perform a multifaceted vision assessment with additional screening. Module 6 will introduce, review and summarize your assessment of key cognitive components that include attention, memory, processing and function, and language based, communication, and social aspects. Practical takeaways: Know how to assess key cognitive components. In module 7 we'll provide you with the often missed, but OT strength based psychological and functional areas of assessment. Practical takeaways: Include psychological and functional domains into your assessment of concussion. BONUSES: CONCLUSION AND CLINICIAN TOOLS AND RESOURCES. Practical takeaways: Put your learning all together, then take it further with a ton of bonus resources. The course is delivered online via Embodia Academy over 7 main modules (see above). At the end of each module you'll find a discussion section with key questions to ensure you're comprehension. There's also an Open Forum for any additional question you might have at anytime throughout the course. In total, the course contains over 9 hours of video lectures for your learning. You can expect to spend a few additional hours (if you're a keener like us) to complete the discussion assignments and review relevant literature and resources. Overall we suggest you complete one module per week, but you can work faster or slower if needed. Devon Cochrane is an Occupational therapist who created the concussion program at Tall Tree Health. He's spent hundreds hours researching concussion and works full time in concussion rehabilitation. He's also an Educator and Co-founder of Elevate OT. Absolutely! We designed this course to be actionable, and to make sure you can put what you've learned into action right away. The course includes many assessment measures and methods you can use immediately. What if I run out of time for the course or can't make it to all the sessions? Participation weekly is encouraged for your learning but is not mandatory and you'll be able to keep access to all course materials once the course is complete. Our goal is to help you transform from an OT with little to no concussion specific training and minimal resources, to an OT with a confident base and concrete tools to assess the your patients with concussion. We guarantee that you'll gain clear assessment tools, learn key fundaments of concussion related science, and increase your ability and confidence to provide a clear, evidence based assessment of your patients with concussion…if your skillset is not transformed with the product provided, we insist that you tell us and we’ll refund you your money back and you keep all the materials, handouts, worksheets and course.